Catherine Flurin founded a new holistic and unique in the world method to cure with bees: Gentle beekeeping. It is also named Yoga des Abeilles, Yoga Bee. This is a new practice. Benefits are for children, adults of all ages and conditions, healthy or with all kind of diseases. Progress with a deep change in the beekeeping business. Based on the responsibility of beekeepers and on full respect of the ecosystem: bees, their environment, consumers, and the economic system. Bees have been living on Earth for so many years. They have a deep knowledge, intelligence of life, and a special energy. Bees collapse is the sign of human errors about the way they manage their life and the world. Gentle beekeeping teaches us how to learn from the bees. Gentle Beekeeping is the fruit of 30 years research at the innovative Ballot Flurin Beefactory located in a small village of South West of France. Bees, Nature and Humans are connected to live healthy and rich together. To promote this new era in beekeeping and in communication with bees, join our movement. ISNAD FLURIN, Catherine . "Yoga Bee, a New Approach for Health". 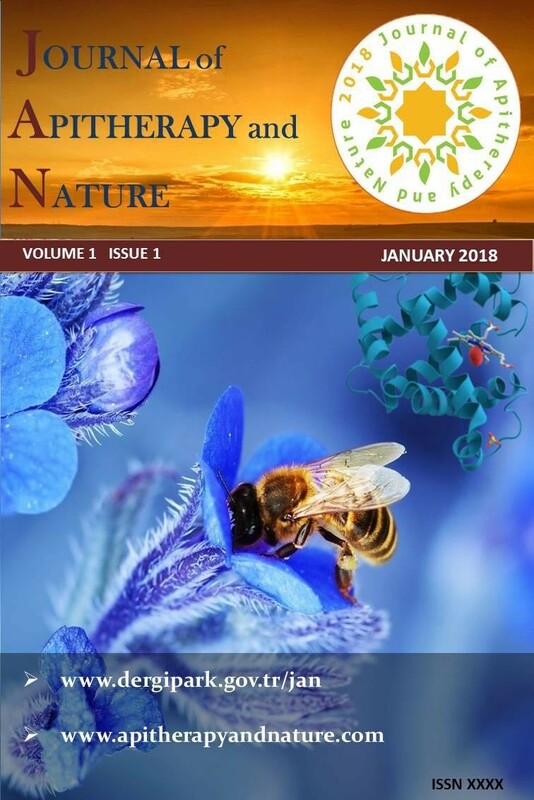 Journal of Apitherapy and Nature 1 / 3 (December 2018): 80-80.